How things have changed since I took my first step on the South Dows Way over thirty years ago! To begin with, the route has been extended from its Sussex base all the way to Winchester in Hampshire ­– making it an even one hundred-mile journey. In addition it has attained National Trail status and, indeed, the entire beautiful region, with its hilly ridges – chalky and flinty by turn – and its green rolling hillsides and valleys, attained a new status as The South Downs National Park in April, 2011. For the walker there have been changes as well for the route is now covered by a number of tour companies who will arrange accommodation and transfer baggage for you – it is easy to find such services on the Internet but you will also discover that some of these outfits prefer to start the venture in Winchester rather than in Eastbourne. There are also a variety of guidebooks available; these included Paul Millmore’s National Trail Guide – part of the Aurum Press series that features the inclusion of relevant sections of the Ordnance Survey maps. 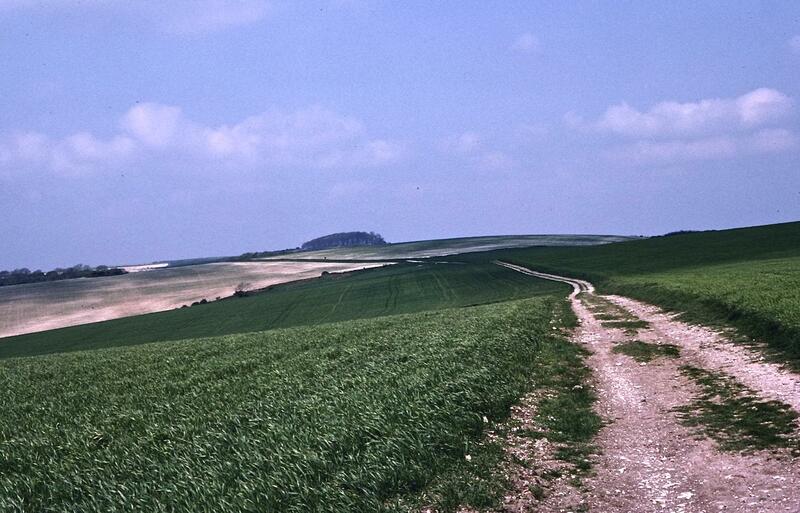 As the following journal entries will demonstrate, I found ways of doing almost all of the route in day walks from London – finding it necessary to book accommodation only at the very end, one night in Meonstoke. British train travel is easy to research at National Rail Enquiries; I wish the same could be said for bus routes. For hints on how to get travel information and other aspects of the walking enterprise you could begin with my book, A Walker’s Alphabet: Adventures on the long-distance footpaths of Great Britain – published in 2010 and available from the publisher at www.authorhouse.co.uk or from www.authorhouse.com or from www.amazon.co.uk or from www.amazon.com. The important thing is not to panic; it is not necessary to know everything in advance; if trains don’t get you to your trailhead and buses are also needed then there will always be someone on the ground to unravel for you the mysteries of the local system. In the meantime I hope that the stages as outlined in the following account of my two-era walk may be a useful starting point. You can always let me know how you got on by leaving word on the Contact Page.